Pro Disc 146 Out Now! 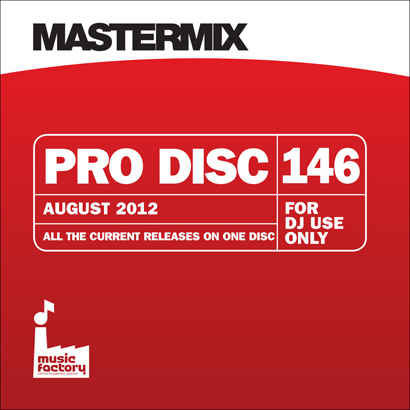 Pro Disc 146 is the latest offering from Mastermix and is jam packed full of tasty tunes including the newbies ‘Under The Sun’ from Cheryl Cole and ‘Wings’ by Little Mix. The 21 track CD also features chart toppers and forthcoming hits from the likes of Sean Kingston feat. T.I, Rita Ora, Jennifer Lopez feat. Flo Rida and Maroon 5. Pro Disc 145 is available now on CD or digital download priced at £15.32.